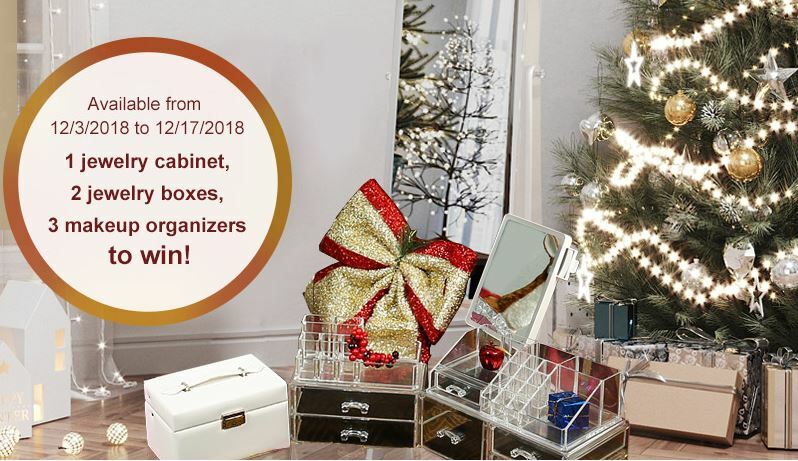 Songmics is giving away 1 jewelry cabinet, 2 jewelry boxes, & 3 makeup organizers are ready for 6 lucky winners. No purchase necessary. Open to US, UK, DE, FR, ES, IT. 18 years or older. Six winners will be chosen randomly by Songmics, December 18, 2018. Winners will be informed by Email. Just enter for a chance to win one from Songmics as an early Christmas gift!